depth exerting a reparative integral effect. evolution of the most advanced cosmeceuticals. intercellular, activate metabolic processes or produce a general cutaneous biostimulation. Physiological mechanisms with a specificity of total action. treatment, since a clean skin is more receptive to cosmetic products. 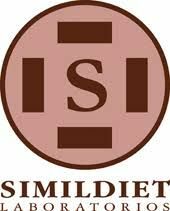 SIMILDIET S.L. Laboratories advised cleaning as a first step for any treatment. technology that would be the most innovative beauty product. fine lines and wrinkles, abnormalities of pigmentation, seborrheic skin and acne and its aftermath.